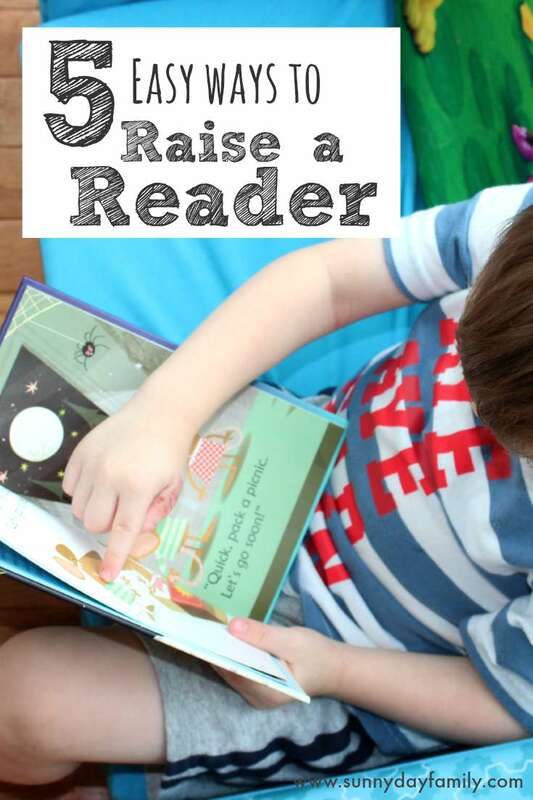 5 easy tips for raising a reader & helping your kids love books! I've been a big reader ever since I can remember. I started young and my love of books has only grown as an adult. When I had my boys, I was so excited to read to them and hoped that they would share my love of reading. They're not able to read on their own yet but at age 3 they love books! I've picked up a few tricks on raising a reader and hope they can help your family too. 1. Read aloud, every day, at every age. In 2014, the American Academy of Pediatrics announced new guidelines that recommend reading to infants beginning at birth. 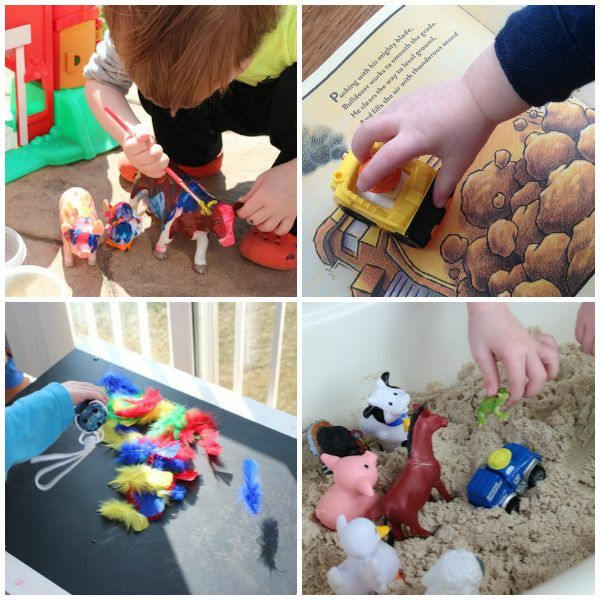 Countless studies have shown the benefits of reading to infants and toddlers, as it helps them to develop language and early literacy skills. Reading aloud can become a special bonding time for you and your kids, and a wonderful way to spend time together as a family. But don't stop reading aloud when your kids can read for themselves! Reading aloud with older readers is just as important as it is with young children. Making reading together a family activity will help kids to stay interested in and excited about books. 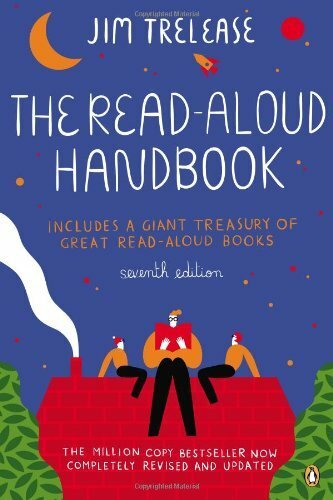 For more on the benefits and fabulous ideas for reading aloud with your kids, check out The Read-Aloud Handbook by Jim Trelease. This classic has helped kids and families get excited about reading together for decades, and is a must have in your parenting book collection. Give kids cozy, quiet spaces to fall in love with their books. I put together a reading corner in our playroom and made it as comfortable and bright as possible. Read more about our set up here. But you don't have to limit yourself to one spot or just to the kids' rooms. We have little reading areas all over the house. All you need is a basket of books and comfy spot to sit and you've got a place where kids can fall in love with reading. Find all our book inspired activities & crafts here! Even though it seems like kids love to read the same book over and over again (how many times have you read Goodnight Moon? ), keeping their selection of books fresh will actually encourage them to read more. The good news is you don't need to go broke buying new books - using your local library is the perfect way to find books to introduce to your children. We go to the library once a week, and have dedicated bins in our reading spaces for our library books. As long as we remember to return them on time we have a nearly unlimited source of free books to explore. We do have a large book collection of our own too, and I am a big fan of storing our books in a way that encourages reading. We use this forward facing bookcase in the boys' room and it encourages them to check out books they may have otherwise forgotten. I also love the idea of rotating books. Changing out your available books every week or month helps ensure that nothing gets too old. I'm a big fan of listening to audio books, especially in the car. It's a wonderful way for everyone to enjoy a story and for kids to hear books read aloud by people other than mom & dad. There are some amazing audio books for kids, featuring some really great celebrity narrators! 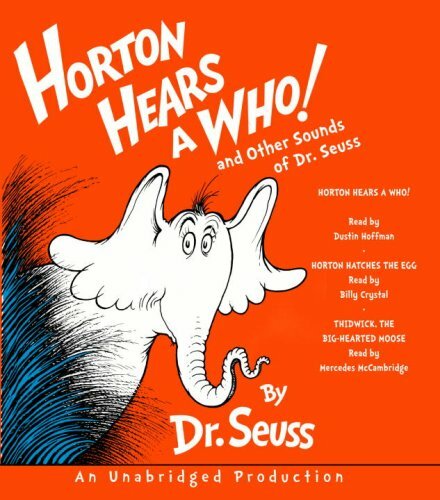 We've especially enjoyed Horton Hears a Who! and Other Sounds of Seuss featuring Dustin Hoffman and Billy Crystal and Brown Bear & Friends narrated by Gwyneth Paltrow. I love to get audiobooks from the library and from Audible.com. You can actually sign up for a free trial of Audible and get 2 audiobooks for free. Give it a try! Looking for more great children's book recommendations? Check out the book lists and book reviews in our All Things Kids Books section! What's your favorite way to get your kids excited about reading? Let me know in the comments below or message me on Facebook and let me know!